Nestled in mountainous terrain between Thailand and Myanmar, Laos is a country unexplored and raw. It is a country where not a lot of people go when it comes to tourism in Asia and that’s exactly why the country is still pure, to say the least, and untouched by humanity’s really sad Midas touch. Going to Laos might just be the thing if you are looking forward to an adventure trip in the East Asian lands of the world. Adventure is narrowed down to bungee jumping and rock climbing but here, loads of other things await as the lush green lands of Laos waits for you with open arms. Laos has a history which takes the country’s civilization to the most ancient of times, almost on parallels with the Indian and Chinese civilization. That itself should be a factor that one should consider if one is to visit Laos. It is a country with a history of people migrating to it from Thailand and around those lands and was also ruled over by the French and hence has had some French cultural influence. Apart from that, after their independence, Laos has been a communist state. Laos is known as the ‘land of a million elephants’ and hence a lot of elephant-related activities are seen all around the country. To bring it into some light, there are a lot of Asian elephants seen and tamed all around the densely forested areas of the country. Here one can meet and talk to the mahouts of the elephants and ask them how they tame these beasts, one can obviously go for elephant rides and go bathing with elephants too. 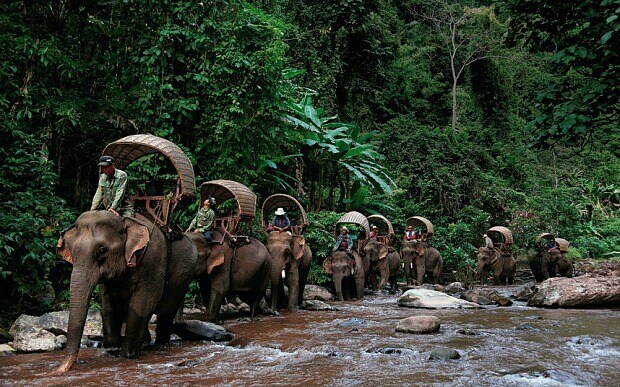 The locals and the mahouts are keen on letting tourists know about the jobs and the activities that they tame the elephants into doing and how they harness their large amount of strength and power. They also talk about the conservation of these elephants and treating them properly. If one is up for an adventure, Laos has it all. Mountain bike rides, here in the small and quaint villages of Laos are very popular and as a first timer here and an adventure seeker, one should definitely treat oneself to one of these rides. The Route 13 is the infamous one, claimed to be the most challenging one in this otherwise rugged terrain. This route is for pro bikers who bike otherwise too. Houa Phan and Xieng Khuang provinces have less challenging routes that also introduce you to some isolated villages. Kayaking is like the amateur version of white water rafting. Kayaking is the sport for beginners and first-timers and one can definitely explore the still waters of the Mekong and do some good photography and videography. It’s a great way to see the famously beautiful 4000 Islands region or to discover the dramatic limestone karst landscape of Vang Vieng. Vang Vieng is also the place to go to try “river tubing”, which involves lying on a rubber ring and floating down the Nam Song, usually calling in at riverside bars for drinks along the way. Trips range from a few hours to a few days, with the chance to spot the endangered Irrawaddy dolphin. 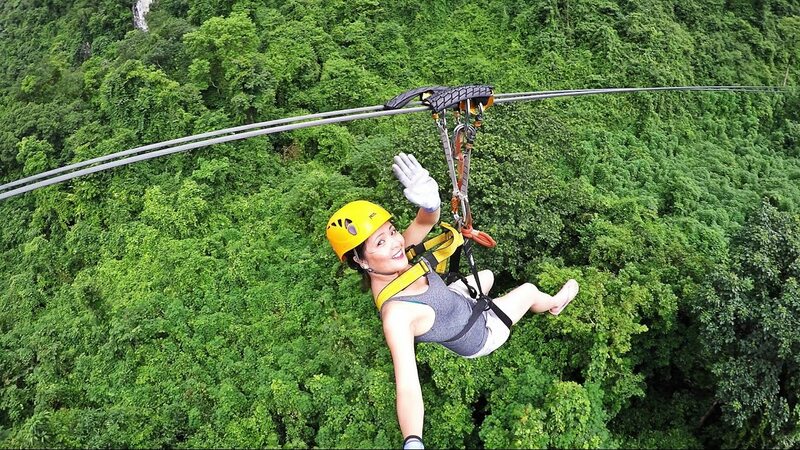 For a truly unique experience, thrill seekers should head to northern Laos to take on the Gibbon Experience. This is a stunning and out-of-this-world experience as one stays in tree houses that are only accessible via ziplines. As you swoosh through the greens and head speedily towards your abode in the high trees, as you see the occasional sight of a black gibbon or two, you would really hold on to this phenomenal experience and would trust Laos for more adventures that it has in store for you. This can be best experienced in the Jungle Hotel Paksong in Dong Hua Sao National Park, where the zip-line system has you racing past waterfalls and across gorges. These are the staples, the usuals, the ordinaries of adventure and yet, in Laos, you would want to do these, all over again. Vang Vieng, Luang Prabang and Luang Namtha are the places to go for trekking. Here, in the deep forests on the leech heavy trails, one would find paradise, if not less. You are bound to see wildlife that you haven’t seen before, meet people that you haven’t met before and weave stories with them. Rock climbing gets you up close and personal with Vang Vieng’s forested limestone peaks and a host of other impressive natural landscapes in Laos. You would thoroughly enjoy the experience, yes, and get your time with nature and open up and listen to your thoughts and connect to our very core and natural roots. If you fancy yourself a Lara Croft or Indiana Jones type then Wat Phu, the ancient Khmer temple ruin in Champasak province, is a must-see. Though on a much smaller scale than Angkor Wat, Wat Phu is a Unesco World Heritage Site that is delightfully free of crowds. You’ll find your solace in these ruins and be with history as you walk your way through the crumbling ruins. This is also a great place to get your sketch pads out and your cameras as well. All in all, Laos is an unexplored country, which is waiting to be explored. It is a country which waits to be adventured in and talked about. So when you plan your next trip in the continent of Asia, make sure you include Laos on your list because you are in store for all that is mentioned above.